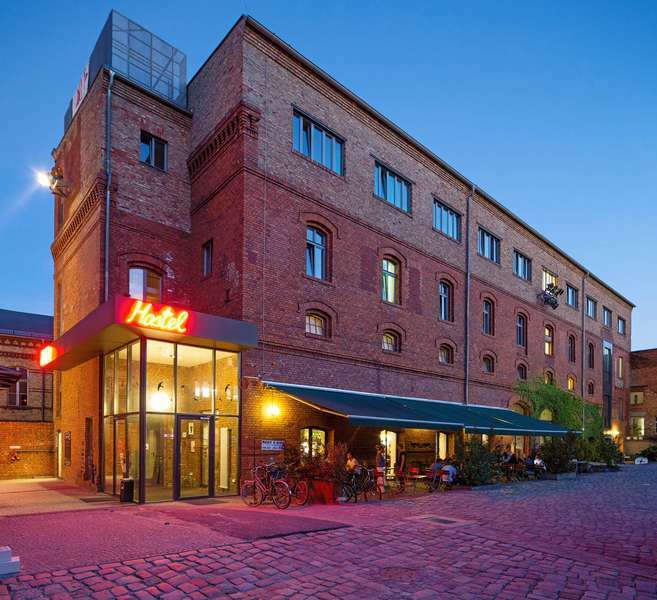 The Pfefferbett Hostel offers you a unique Berlin experience: The former brewery, which was built in the mid-19th century, is nowadays a one-of-a-kind cultural center with art galleries, studios, clubs, restaurants, and a beer garden. 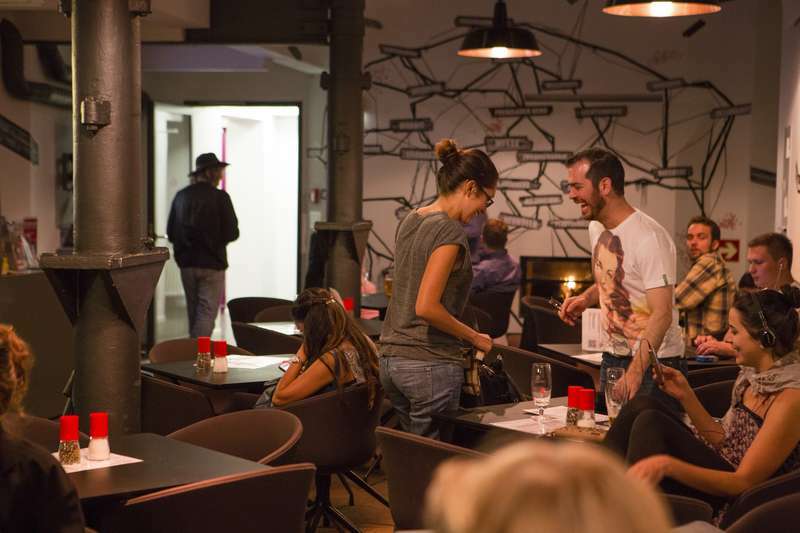 Located in the scene district Prenzlauer Berg in central Berlin: Pubs and bars, clubs and restaurants, cafes and shops, galleries and alternative theatres can be found in crowded streets full of atmosphere. We offer you double & single rooms as well as 4, 6 & 8 bed dorms. 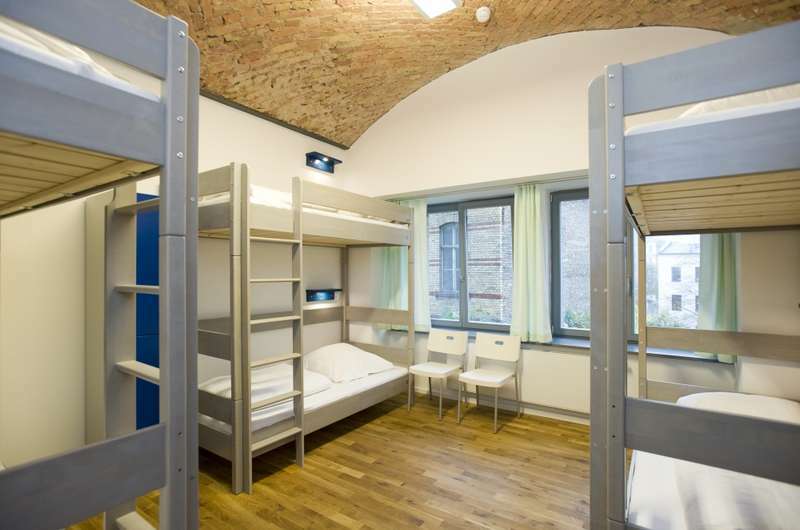 All dorms are equipped with reading light, plug socket and locker by every bed. The double and single rooms have TV & Internet connection as well as their own bathroom with shower and WC. We offer you an all-you-can-eat breakfast for only 6,70 € & freshly homemade snacks and meals. Our reception & bar are open 24/7. In our lobby you will find free internet terminals and Wi-Fi as well an open fireplace. We show all Bundesliga, Champions League and European Football Championships matches live on our big screen. In the summer you can enjoy our lovely garden with chill out area & terrace. We offer free city maps and guided tours. As well you are more than welcome to use our pool table, table football and table tennis. You can rent bikes to explore the city at our reception for 10,00 € per day. We have a 24hr cancellation policy. Cancellations can be made up until 6pm on the day before scheduled arrival (hostel local time). A different cancellation policy applies during New Year’s Eve (29.12.2014 - 04.01.2015), Eastern (03. – 06.04.2015), Labour Day (30.04. – 03.05.2015), Ascension Day (14. – 17.05.2015), Whitsun (22. -25.05.2015), Feast of Corpus Christi (04. – 07.06.2015), Berlin Marathon (25. – 27.09.2015), German Unification Day (02. – 04.10.2015), Reformation Day (30.10. - 01.11.2015), New Year’s Eve (29.12.2015 – 03.01.2016). During these periods, cost-free cancellation is possible up to 14 days before your scheduled arrival time. After that, the following cancellation charges apply: from the 13th day before arrival, 50% of the overnight accommodation rate; from the 7th day before arrival, 80% of the overnight accommodation rate; from the 1st day before arrival, 100% of the overnight accommodation rate. We dot not accept groups with more than 8 people. Please note: from 1. January 2014, the City of Berlin is collecting a CITY TAX amounting to 5% of the accommodation rate. We are forced to collect the tax and to pass it on to the City of Berlin. Business travelers are excluded from the tax, if they can verify this fact. The tax must be paid by the traveler locally. Here you can find some more information.